There were at least nine women linked with Rizal; namely Segunda Katigbak, Leonor Valenzuela, Leonor Rivera, Consuelo Ortiga, O-Sei San, Gertrude Beckett, Nelly Boustead, Suzanne Jacoby and Josephine Bracken. These women might have been beguiled by his intelligence, charm and witty. Segunda Katigbak and Leonor Valenzuela. Segunda Katigbak was his puppy love. Unfortunately, his first love was engaged to be married to a town mate Manuel Luz. After his admiration for a short girl in the person of Segunda, then came Leonor Valenzuela, a tall girl from Pagsanjan. Rizal sent her love notes written in invisible ink, that could only be deciphered over the warmth of the lamp or candle. He visited her on the eve of his departure to Calamba and bade her a last goodbye. Leonor Rivera, his sweetheart for 11 years played the greatest influence in keeping him from falling in love with other women during his travel. Unfortunately, Leonor's mother disapproved of her daughter's relationship with Rizal, who was then a known filibustero. She hid from Leonor all letters sent to her sweetheart and Rizal's letters to her. Leonor believing that Rizal had already forgotten her, sadly consented her to marry the Englishman Henry Kipping, her mother's choice. Consuelo Ortiga y Rey, the prettier of Don Pablo Ortiga's daughters, fell in love with him. He dedicated to her A la Senorita C.O. y R., which became one of his best poems. The Ortiga's residence in Madrid was frequented by Rizal and his compatriots. He probably fell in love with her and Consuelo apparently asked him for romantic verses. He suddenly backed out before the relationship turned into a serious romance, because he wanted to remain loyal to Leonor Rivera and he did not want to destroy his friendship with Eduardo de Lete who was madly in love with Consuelo. 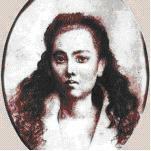 O Sei San, a Japanese samurai's daughter taught Rizal the Japanese art of painting known as su-mie. 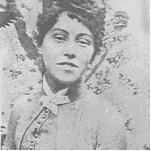 She also helped Rizal improve in his studies of the Japanese language. 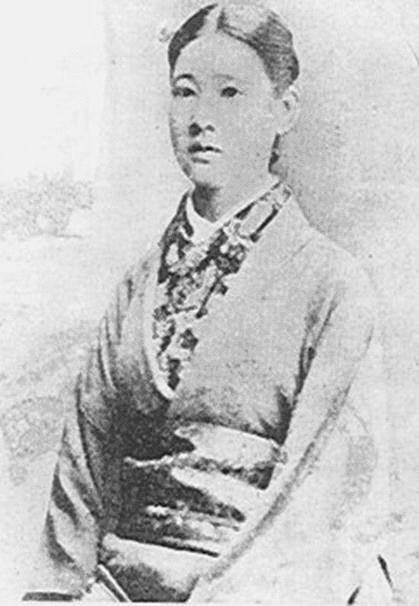 If Rizal was a man without a patriotic mission, he would have married this lovely and intelligent woman and lived a stable and happy life with her in Japan because Spanish legation there offered him a lucrative job. While Rizal was in London annotating the "Sucesos de las Islas Filipinas", he boarded in the house of the Beckett family, within walking distance of the British Museum. Gertrude, a blue-eyed and buxom girl of the three Beckett daughters. She fell in love with Rizal. Tottie helped him in his painting and sculpture. But Rizal suddenly left London for Paris to avoid Gertrude, who was seriously in love with him. Before leaving London, he was able to finish the group carving of the Beckett sisters. He gave the group carving to Gertrude as a sign of their brief relationship. Rizal having lost Leonor Rivera, entertained the thought of courting other ladies. While a guest of the Boustead family at their residence in the resort city of Biarritz, he had befriended the two pretty daughters of his host, Eduardo Boustead. Rizal used to fence with the sisters at the studio of Juan Luna in Paris. Antonio Luna, Juan's brother and also a frequent visitor of the Bousteads, courted Nellie but she was deeply infatuated with Rizal. In a party held by Filipinos in Madrid, a drunken Antonio Luna uttered unsavory remarks against Nellie Boustead. This prompted Rizal to challenge Luna into a duel. Fortunately, Luna apologized to Rizal, thus averting tragedy for the compatriots. Their love affair unfortunately did not end in marriage. It failed because Rizal refused to be converted to the Protestant faith, as Nellie demanded and Nellie's mother did not like a physician without enough paying clientele to be a son-in-law. The lovers, however, parted as good friends when Rizal left Europe. Suzanne Jacoby - Suzanne Thill. In 1890, Rizal moved to Brussels because of the high cost of living in Paris. In Brussels, he lived in the boarding house of the two Jacoby sisters, Catherina and Suzanne. In time, they fell deeply in love with each other. Suzanne cried when Rizal left Brussels and wrote him when he was in Madrid. But did he really fell in love with Suzanne Jacoby (Born 1845) ? A women 16 years older than himself ? In 1890, Rizal was only 29 years old. The Jacoby sisters had a niece also named Suzanne (1872) but whose surname was Thill. Also living in the same house - 38, Rue Philippe de Champagne. The younger Suzanne is often referred to as la petite or little Suzanne. She was 18 years old in 1890. In the last days of February 1895, while still in Dapitan, Rizal met an 18-year old petite Irish girl, with bold blue eyes, brown hair and a happy disposition. 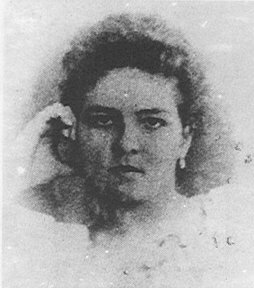 She was Josephine Bracken, the adopted daughter of George Taufer from Hong Kong, who came to Dapitan to seek Rizal for eye treatment. Rizal was physically attracted to her. His loneliness and boredom must have taken the measure of him and what could be a better diversion that to fall in love again. But the Rizal sisters suspected Josephine as an agent of the friars and they considered her as a threat to Rizal's security. Rizal asked Josephine to marry him, but she was not yet ready to make a decision due to her responsibility to the blind Taufer. Since Taufer's blindness was untreatable, he left for Hong Kong on the 15th of March 1895. 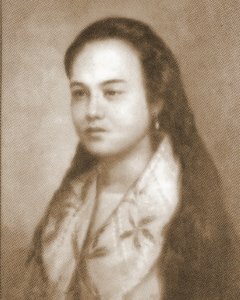 Josephine stayed with Rizal's family in Manila. Upon her return to Dapitan, Rizal tried to arrange with Father Antonio Obach for their marriage. However, the Bishop of Cebu wanted a retraction as a precondition before marrying them. Rizal upon the advice of his family and friends and with Josephine's consent took her as his wife even without the Church blessings. Josephine later gave birth prematurely to a stillborn baby, a result of some incidence, which might have shocked or frightened her.